While some of the world is now celebrating the annual Festival of Lights (Hanukah), many of us are grieving the loss of a great light in our lives and in our world. On December 4, 2010, a bright light and love faded from this earth when M.A. Thomas—Papa—died in his native India homeland. For those of you who know me, you know about Papa. 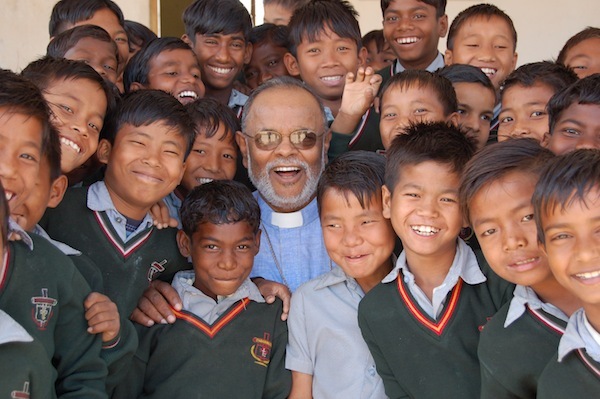 For those of you who don’t, Papa was an adoptive father to more than 15,000 orphaned and abandoned children in India since beginning his work with orphans in the 70s. He started over 25,000 churches in India through raising up pastors and missionaries in his 100+ Bible colleges and institutes. 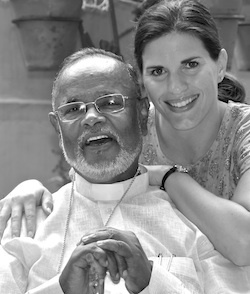 He has helped hundreds of leper colonies become self-supporting. 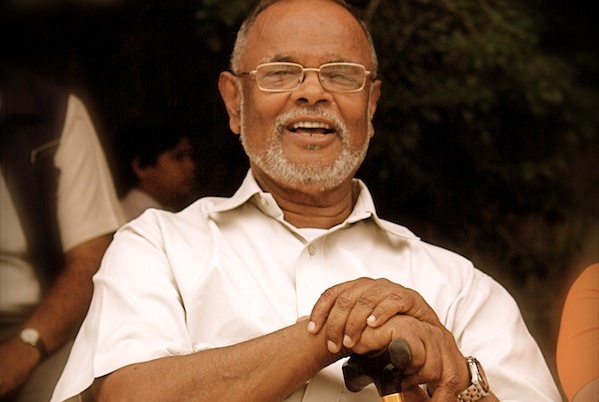 He started a major hospital and hundreds of medical clinic outreaches to villages. He birthed a God-given dream of raising up one million orphaned and abandoned children to start one million Christian worship centers in places in India and other parts of Asia, a dream he has been working faithfully toward since. I can’t describe the jumble of feelings this brings about for me personally, but certainly deep pain and loss are foremost among them. But my greatest sadness is for the many, many thousands—perhaps hundreds of thousands—of once street children, lepers, widows, prisoners, prostitutes, outcasts, and “untouchables” that are in deep mourning. I imagine their reactions all over India today and the days to come, losing perhaps the one person in this life who reached out to them to give them whatever he had in their greatest time of need, loneliness, desperation, and hunger. When no one else would touch them, or hug them, or feed them, or educate them, there was Papa. 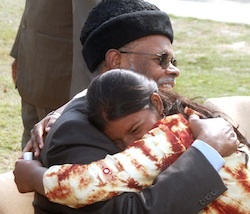 There are so many stories of Papa’s tangible love for others—too many to count. When he was a young boy living in desperate poverty with only a little packet of rice for his lunch at school, he often gave it to someone else who seemed even more hungry. When he encountered someone without shoes or other apparel, he took off his own and gave them immediately. When he had a few rupees and no food at home, he gave them all to a needy person on the street. It’s hard not to be skeptical that one person could love and give that much, but Papa was the real deal. Just being in the same room with him, you could literally feel his love. Papa started his ministry on March 23 (my future birth date), 1960, with “nothing” but a great faith. Through this faith and prayer, God enabled him to change a country. Today, through the message of One Million Arrows, Papa is impacting many families across the world. What an honor I had in sharing his call to action with you through this book. It’s my greatest hope and prayer that Papa’s life and mission will continue to bear fruit in even greater measures than ever before. Please consider sponsoring an orphan and also giving a copy of One Million Arrows as a gift this year to continue promoting the God-given message of love and change for the world through His arrows—the children. I would also like to offer you the chance to read Papa’s narrated autobiography, Hands_that_Hold_the_World, (for free) to see the kind of person he was and the miraculous ways God worked in his life. Since he was a prolific writer, most of Papa’s inspiring testimony and pearls of wisdom are in his own loving and often humorous words. “Behold the inheritance of the Lord, o sons the wage of the fruit of the womb. As arrows in the hand of the mighty, so are the sons of the ones who were outcasts. Blessed is the one who shall fill his desire out of them” (Psalm 127:3-5 LXX). Read more about Papa and his death in this online article. Also learn more about his vision and his autobiography at One Million Arrows. Julie, i can read between the lines and see your face with tears flowing down as you wrote this as I have as I read it. I echo every word that you said. There are no words to describe Papa to someone who never experienced him. For all those who did not, an amazing opportunity has been lost. But for all those who did is now the challenge…what are we going to do with "the light" that he gave us. He was a willing vessel for Christ, self-sacrificing, singularly focused, and obedient in all things. He was a genuine reflection of the love of Christ and the light that Jesus told us to be. His light was never hidden under a bushel, but shined brightly for the whole world to see. My heart is knit with yours,,,,,,,"See you soon Papa! I love you!" Sparkle…I will never forget how you lovingly took care of Papa for 4 months after his stroke! I know it gave him much comfort for you to be there and to be his advocate. It will be special when you and he can celebrate his "recovery" some day. Unless you know Papa, it's hard to put him into words. He had a very special anointing in this world, and it is wonderful that we got to share in a little bit of it!! Having read One Million Arrows, I can in some small way understand that "jumble of feelings" you are experiencing now Julie. What a blessed entry into our Lord's presence for this man of God and action. Let us all be looking for that wonderful day when we can see our Lord face-to-face!! Thanks for your loving comment Jim. And yes, it will be a wonderful time!! Well I have endured to put a bit i found what I needed, nevertheless the points this post has touched are actually amazing, everyone’s wanting to either copy or keep to the same task time and again, and a lot almost daily get really hurtled with this. I do believe this being the first post to actually post something as is also will truly assist me to and many more. There’s no doubt that trying this is actually worth. And also wastage of your time coz in any case it will never harm our campaigns for good serps. Wonderful post, you might have pointed out some amazing details , I too conceive this s a very great web site. I do not understand exactly how I found this blog because I had been researching information on Real Estate in Altamonte Springs, FL, but anyway, I have enjoyed reading it, keep it up! You guys really think that? I never try to look at things that way. I imagine their reactions all over India today and the days to com.